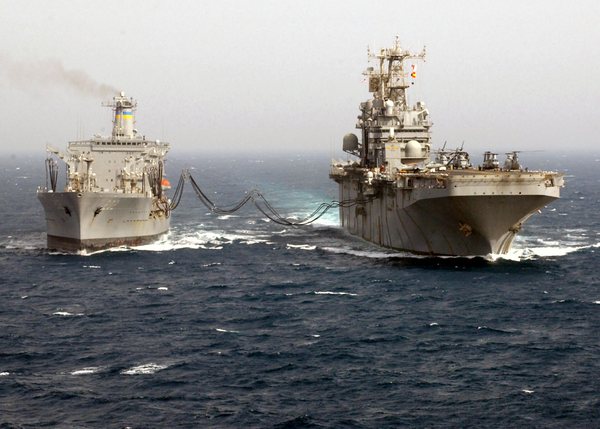 Uss Tarawa (lha 1) Receives Fuel During An Underway Replenishment (unrep) With Military Sealift Command Oiler Usns Yukon (t-ao 202). An F-14 Tomcat Embarked Aboard Uss Harry S. Truman (cvn 75) Flies A Combat Mission In Direct Support Of Operation Iraqi Freedom. An F-14a Tomcat Ignites Its Afterburners Just Prior To Launching Off The Flight Deck Aboard Uss Kitty Hawk (cv 63).